Having only really eaten figs with cheese I was keen to try them in a sweet recipe. Figs are in season at the moment and can be picked up pretty cheaply in the supermarkets and on the market stalls, so it seemed a good time to play around with some recipes. 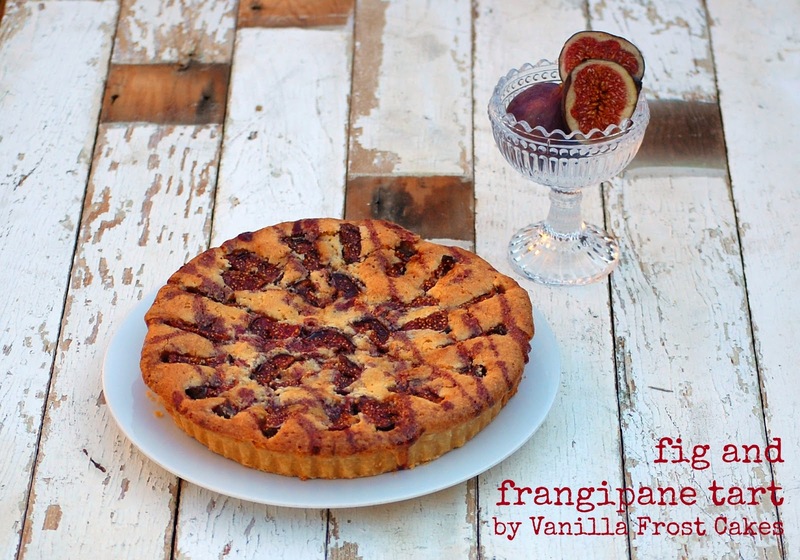 First up is this yummy fig and frangipane tart. It is delicious served warm, but also very good cold, especially when accompanied by a big dollop of crème fraiche. 1. For the pastry: Place the flour and sugar into a food processor and pulse until combined. Add the butter and mix until the butter resembles breadcrumbs. Add the egg yolk and water, and mix until the pastry begins to come together in a ball. If making the pastry by hand, stir the flour and sugar together in a bowl. Use the tips of your fingers to rub the butter into the flour until the mixture resembles breadcrumbs. Add the egg yolk and water and bring the pastry together into a ball. 2. Flatten the pastry into a disc, wrap in clingfilm and leave to rest in the fridge for 20 minutes. 3. For the figs: Warm the wine and brown sugar in a saucepan, until the sugar has dissolved. Cut each fig in half, and then cut each half into three equal sections. Place into a bowl and pour the wine over. Leave to soak, stirring occasionally, but be careful not to damage the fig pieces. 4. For the pastry: Preheat oven to 180°C/160°C fan/gas 4. Roll out the pastry to approximately 3mm thick and use to line a loose bottomed tart tin (approx. 20cm diameter). Prick the bottom with a fork, and cover with foil or parchment before filling with baking beans. 5. Bake for 15 minutes then remove the baking beans and foil/parchment. Return to the oven for a further five minutes, then set aside to cool slightly. 6. For the frangipane: Cream together the softened butter and sugar, until pale and fluffy, gradually adding the beaten egg. Fold in the almonds and flour. 7. Press the frangipane into the pastry case and level off with the back of a spoon. Strain the figs, reserving the red wine. 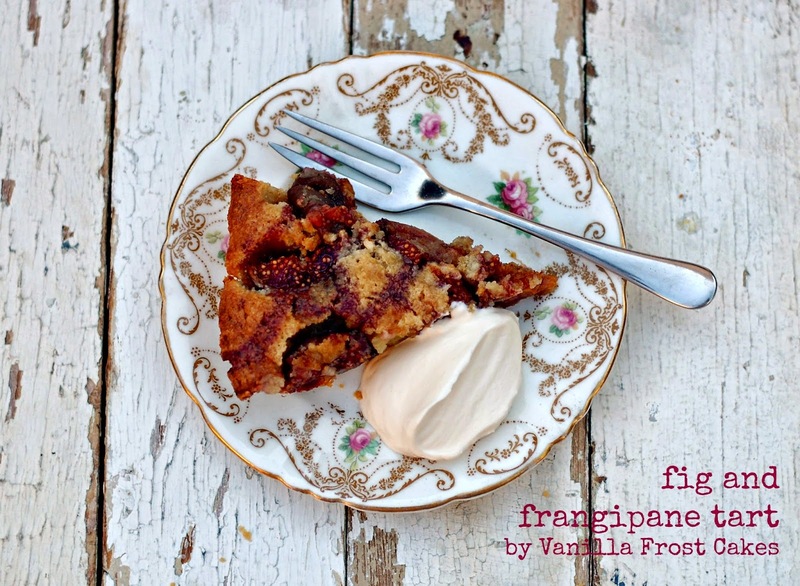 Arrange the figs on top of the frangipane, with the inside facing upwards, pushing them in gently. 8. Bake for 35-40 minutes, until the frangipane is set. Leave to cool before removing from the tin. 9. Reduce the red wine and sugar by warming in a saucepan, until it has thickened slightly, then drizzle over the tart. Serve with crème fraiche. Lovely. Figs in wine are delicious so add them to a tart and what could be better?